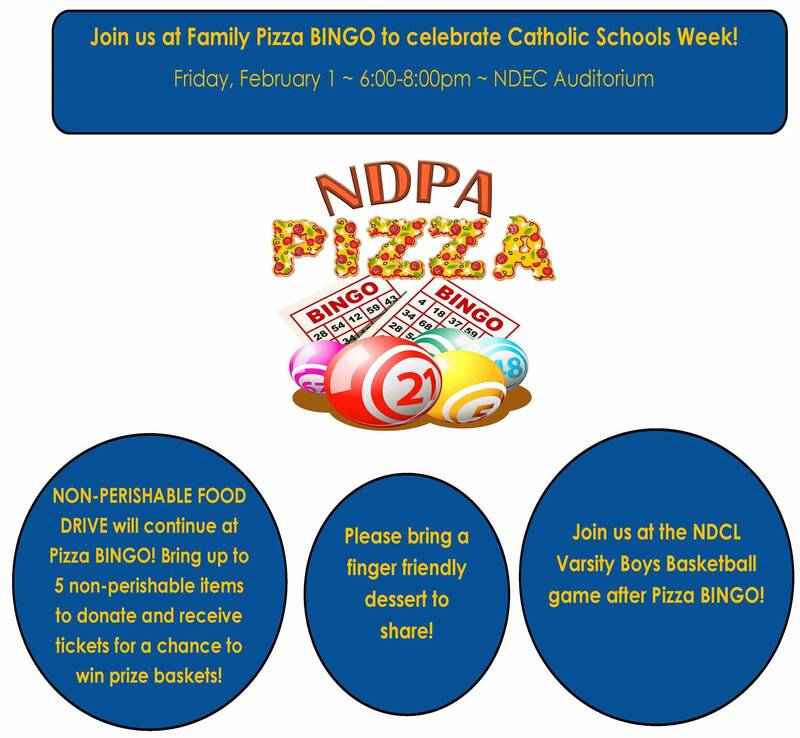 Sponsored by the NDPA, enjoy an evening out with your family at NDES, playing Bingo, NDES style. For students with dietary restrictions, please click here to view the dietary modifications or contact Mrs. Nicole Reel. All children must be accompanied by an adult. Please bring a delicious finger friendly dessert to share! Please RSVP for Pizza Bingo below by January 24, 2019. Limited spaces available.